The modern customer wants to be surprised and delighted and treated as a customer segment of one. They want customer service personalised for them as an individual, and most definitely not treated as a mass market. Customer experience has taken the place of product marketing. Today we already know that everyone shares their experiences with each other on social media and online reviews. As time goes on we have learnt that the market is fast becoming completely customer centric. The old saying that the ‘customer is always right’ has never been so true. We go more into detail about the changing consumer landscape and how to improve your brand value in the article, Brand Love. The number one golden rule (and it seems so obvious) is to actually listen to your customers. Do your customers enjoy your customer service? How do you know? Do your customers feel engaged with your brand? Are they feeling emotionally engaged? How do you know? Are you really any different from your competitors and how do you know anyway? These are the tough questions we face and find them hard to answer truthfully and confidently. It is important to start to recognise and fully understand your customers’ journeys and interactions with you. These journeys can include: onboarding, making a payment, resolving a customer service issue, billing, ordering, reordering, checking product or service availability. Once we understand these journeys, it is then we can start to make the entire experience positive and completely customer centric. It has never been so important to deliver on your promises to keep customers satisfied than right now. Businesses that are succeeding today are able to make it simple for the customer. They understand the critical emotional moments and respond in an empathetic and timely manner. They incentivise their staff who are demonstrating the right kind of behaviour and that are making decisions efficiently. They empower staff of all levels to make the right decisions at the right time for the business and most importantly for their customers. Let’s now move on to focus on the unhappy customer and how small-value prepaid cards can be a quick and valuable fix. So just say you are a manufacturer or a retailer. Your customer calls in to tell you that a product to the value of $10 is damaged. Instead of ordering a new one from the warehouse, you swiftly send them out a prepaid gift card to the value of $10 so that they can repurchase the product themselves. It is better and quicker to use this method and many manufacturers and retailers are getting on board. It not only makes it easier on the stock control side but also packaging and postage costs are lower. The whole process is streamlined and the customer ends up happier because they can choose what to do with the card, ultimately. Another example is a customer who has called, unhappy with the quality of her packaged food product. Instead of re-sending her out the product that she clearly was not happy about, you send her a $5 prepaid card so she can buy a different product of her choice. 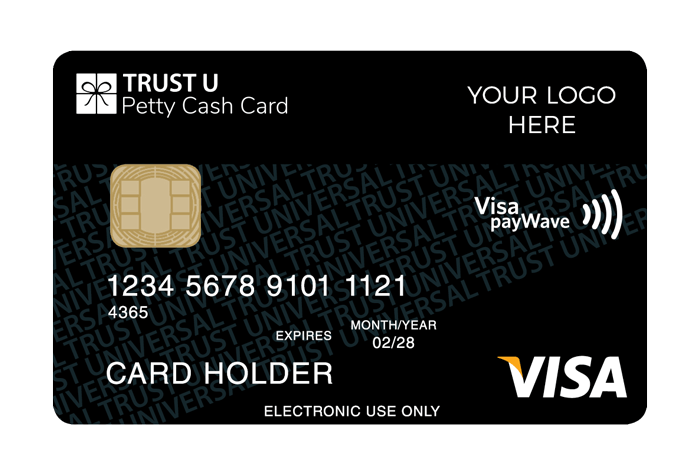 Even though this is a small cost prepaid card, she is much less likely to leave you a bad review or complain to her friends about you. Just say a customer is delighted with your product. You have sent out a customer satisfaction survey and identify the customers who give you glowing feedback. To encourage a 5-star rating on Google, you send them a personlised email encouraging them to kindly give you a review. As a thank you for their time and effort, you send them out a $20 prepaid Visa card. Everyone is happy. And $20 is a small price to pay for a 5-star review online. To find out more about how Corporate Prepaid Cards can work for your business, please send us your details and one of our friendly sales team will be in touch. Written by Natasha Wilson, Corporate Prepaid Cards.